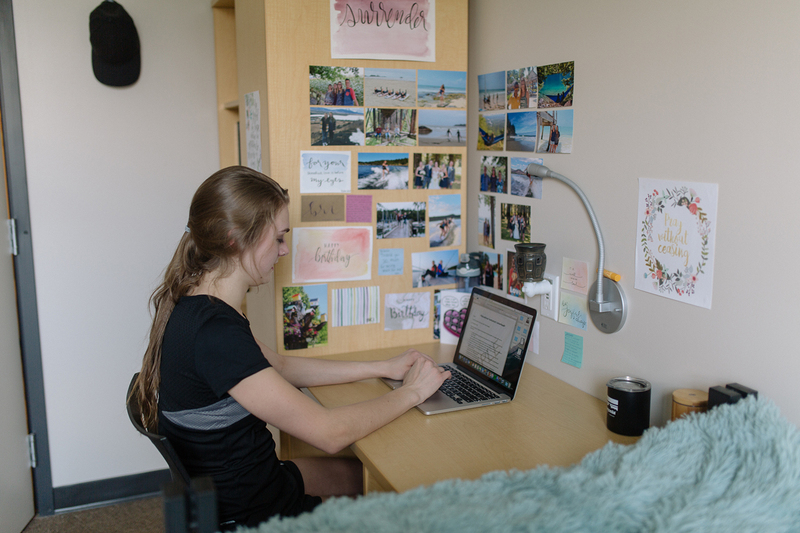 Skidmore Hall is the newest addition to our residence options and provides both Room and Board and Apartments which are open to students of all years at Trinity. 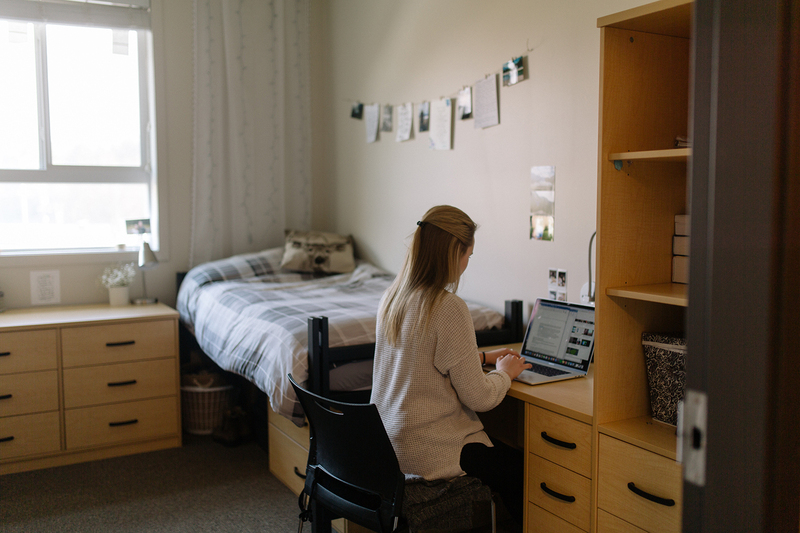 It backs onto one of Trinity Western on-campus eco-systems and gives students easy access to trails and recreation areas. 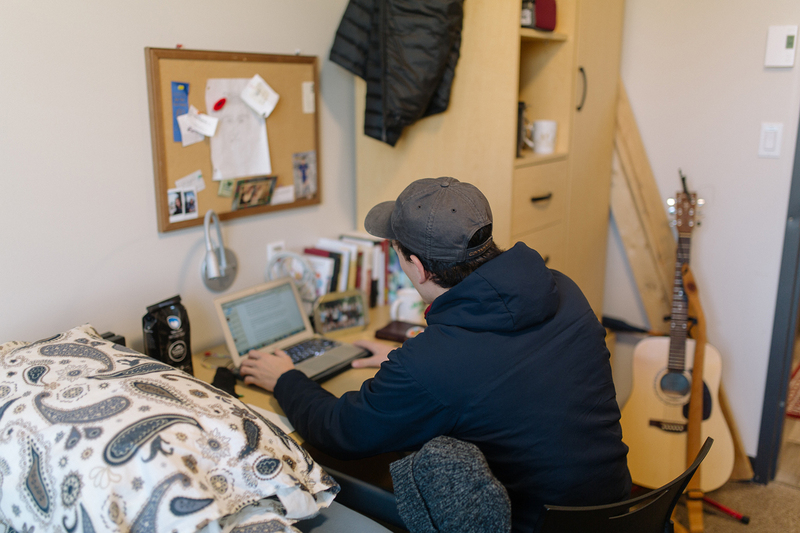 Housing in Skidmore is “suite style”, where two double occupancy rooms share a bathroom, shower and private sitting area. Room and Board rooms also have cupboard space, a small refrigerator and a microwave in their sitting area. Skidmore boasts large lounges on each floor as well as a main floor common area with table tennis and comfortable seating. 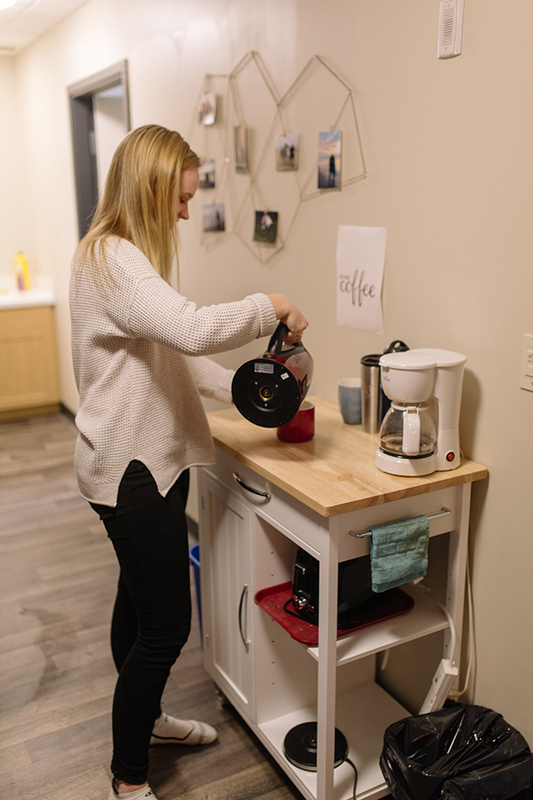 Skidmore is perfect for the student who enjoys their own space while still providing a true dorm experience. Laundry Rooms on the end of each floor with both washer and dryers. Coin operated ($1.25 per cycle). Sinks in every room.